Unang magkikita nang ilang saglit si Wendy (Jennylyn Mercado) at si Sean (Sam Milby) nang magbanggaan ang kanilang mga sasakyan sa kalye. Magtatagpo silang muli sa eroplano, bilang magkatabi ng upuan sa business class, at mag-iinisan sila sa buong haba ng biyahe mula Maynila hanggang New York, kung saan inaasahan ni Wendy na makapiling ang kanyang tunay na ama. Magkikita ang mag-ama pero hindi matutuloy ang pagpisan ni Wendy sa ama pagkat tutuol dito ang babaeng kinakasama nito. Habang namomroblema kung saan tutuloy si Wendy, susulpot muli sa eksena si Sean, na tila hindi umalis habang naghihintay sa ama si Wendy. Nagmamagandang-loob, kukupkupin ni Sean si Wendy sa kanyang apartment sa New York. Sa madaling salita, magkakaigihan ang dalawa hanggang sa magkasundong magpakasal. Dito magsisimula ang gulo sa matamis nilang pakikipag-ugnayan. Bagama’t may mga parteng nakakaaliw sa mga eksena ng The prenup, gaya ng mga kuha sa New York at ang pagkakagayak ng bahay/tindahan ng pamilya ni Wendy, marami din namang mga aspeto na hindi pulido ang pagkakagawa—tulad ng tunog (na minsa’y nakabibingi), ang kawalan ng orihinal na musical score, ang mababaw na characterization, ang editing na tila may bungi, at ang dialogue kung saan nangingibabaw ang bastusan sa kapwa. Sayang ang kahanga-hangang talino sa pagganap ni Mercado na ipinakita niya sa pelikulang Rosario; sa The prenup, kahit “carry” niya ang rom/com, hindi nito hinamon ang husay ng artista. Ang mismong istorya ng The prenup, tulad ng mabilisang pag-iibigan nila Wendy at Sean, ay mukhang minadali din, tinuhog ang mga pira-pirasong kuwelang eksena at kinoronahan ng isang happy ending—sa tingin kaya ng mga producers ay sapat na ito para katalinuhan ng mga manunuod? Gasgas na ang tema ng The Prenup—guwapong binata, magandang dalaga, magkakatagpo, magkakaibigan, pero tututol ang kani-kaniyang mga pamilya. Ang isa kasi’y ubod ng yaman at ang isa nama’y … hindi nila kauri, ika nga. Para hindi siguro malaglag ang predictable na kuwento, tutukuran ito ng bagong elemento: parehong lalaki ang mga adoptive parents ng ulilang si Wendy. Hindi mapigilan ng CINEMA na magtaka kung walang hidden agenda ang The prenup—bukod sa mga binabaeng nag-ampon kay Wendy, ay may bakla at tomboy din sa dalawang pamilyang sangkot. Ang pagtatapos ng pelikula ay “hati”, ika nga: bagama’t tumpak, ito’y artipisyal; hindi ganitong kasimple ang resolusyon ng ganoong mga situasyon sa tunay na buhay. Buti pa ang mga fairy tales, pinahihirapan muna ang mga karakter bago makamtan ang matamis na happily-ever-after. Hindi nababagay sa mga murang isipan ang pelikulang ito gawa ng ipinakikita nitong kagaspangan ng asal at ang bunga nitong kabastusan sa pananalita. Maaaring magdulot din ng kalituhan ang pelikula sa mga bata na dapat ay pinalalaki sa wastong pagpapahalaga sa pagkakaiba ng kasarian ng babae at lalaki. DIRECTOR: Genndy Tartakovsky LEAD CAST: Adam Sandler, Andy Samberg,Selena Gomez, Kevin James, David Spade, Steve Buscemi, Keegan-Michael Key, Molly Shannon, Fran Drescher, Mel Brooks SCREENPLAY: Adam Sandler WRITER: Robert Smigel MUSIC: Mark Mothersbaugh PRODUCER: Michelle Murdocca FILM EDITOR: Catherine Apple GENRE: Comedy, Animation, Family, Fantasy PRODUCTION DESIGNER: Michael Kurinsky ART DIRECTOR: Steve Lumley PRODUCTION COMPANIES: Sony Pictures Animation, Sony Pictures Digital, Columbia Pictures, LStar Capital DISTRIBUTORS: Andes Film, Columbia Pictures, Fundamental Films, Sony Pictures Releasing, United International Pictures. Universal Pictures, Warner Bros Entertainment, Westec Media Ltd. LANGUAGE: English LOCATION: United States RUNNING TIME: 1 hr. &29 mins. Hotel Transylvania has gone through several changes since Johnny first came into it—for one, the hotel is now open to human guests. The movie opens with the wedding of Mavis and Johnny (Selena Gomez and Andy Samberg). Years later, Mavis and Johnny will have a baby boy, Dennis, whose lack of any vampire abilities worries his grandfather, Dracula (Adam Sandler) that he might be a human, and with that, Mavis and her family might leave Hotel Transylvania to protect Dennis. So when Mavis and Johnny leave to visit Johnny's parents, Dracula finds the opportunity and calls his friends to train Dennis in the way of the monster—in the hope that he is one. Hotel Transylvania 2 has managed to maintain its charm and comedic feel from its previous installment. The premise is still pretty interesting although maybe quite worn-out for a vampire-falls-in-love-with-a- human plot. The coming of the new addition to the family gave the story an interesting twist and angle. However, the film has the tendency to be quite under structured that it lacks cohesiveness. The characters are interesting and all the voices seem to be enjoying their part. 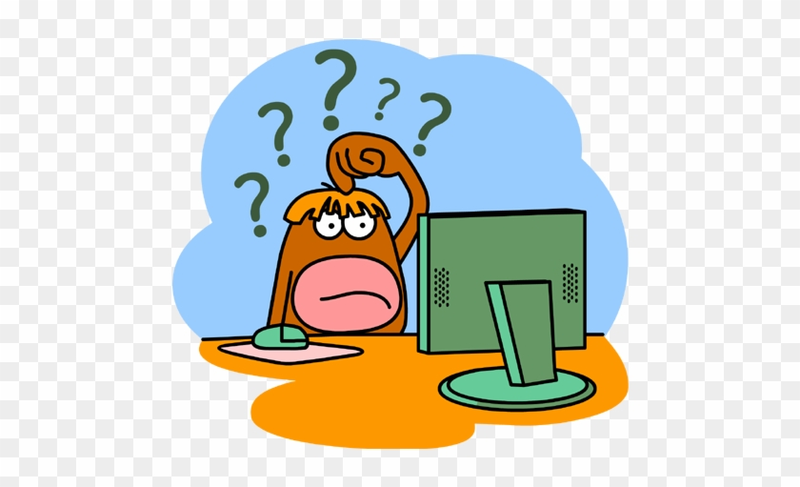 But there are features that seem to be unnecessary in plot development (such as the break dancing) although it has to be there because of its adherence to randomness. The film is able to drive home a point and it cannot be denied that it is still a delight to watch especially for the young and the young at heart. 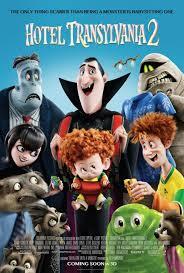 Hotel Transylvania 2 presents a thesis against discrimination of any kind. The differences between humans and vampires are used as a metaphor to represent various kinds of discrimination on a local and global vantage point. The message against discrimination is very strong in the movie: that one should accept the other no matter how different—all creations are considered equal—and no one should be discriminated against by the color of their skin, gender, or by their gender preference. Acceptance, tolerance and equality are the big messages of the film. In between the laughter and the thrills, these messages echo up to the point of overselling the values of family, friendship, and marriage. Paradoxically, this vampire movie tells its audience to love and accept one’s child no matter how odd his or her choices may be. At the end of it all, a father’s love and a family’s love for one another springs eternal. And yes, love is love, and even vampires are capable of it. But watch out, such paradox may create confusion for the very young and the very theme of vampires would need guidance from adults since the film’s target market is the very young audiences. DIRECTOR: Guillermo del Toro LEAD CAST: Mia Wasikowska, Jessica Chastain, Tom Hiddleston SCREENWRITER: Guillermo del Toro, Matthew Robbins PRODUCER: Jillian Share EDITOR: Bernat Vilaplana MUSICAL DIRECTOR: Fernando Velazquez GENRE: Horror CINEMATOGRAPHER: Dan Laustsen DISTRIBUTOR: Universal Studios LOCATION: Kingston, Ontario RUNNING TIME: 1 hr. 59 mins. Edith (Mia Wasikowska) is a budding young novelist amidst a time when women authors do not get much interest from publishers. Her inspiration would mostly come from her tragic childhood experience of her mother’s ghost. When baronet Thomas Sharpe (Tom Hiddleston) visits New York to seek investment from Edith's father for a technology he invented, Edith eventually falls in love with him, which Edith’s father disapproves. His father dies a mysterious tragic death and Edith marries Thomas and they move into her husband’s home in England, which he shares with his sister Lucille (Jessica Chastain). The house, apart from being old and dusty, seems to be haunted, leading Edith to discover the dark secrets of the Sharpes. Crimson Peak is a magnificent visual delight for a horror genre. The set pieces and costumes, the cinematography and the entire production design all intricately blend to create such a film art masterpiece. Like a painter creating a delightful still life, the director is able to use the film as his canvass where all color pallets using mixed media installations come together to bring about such compelling work of art. The showcase of Gothic romance is twisted in the terror and apparently dangerous fate the main character is facing. Jessica Chastain shines as Lucille with her gripping performance that combines Victorian class and terrifying threat. It’s rare to see a film that is visually arresting, emotionally moving, and intellectually challenging. In Crimson Peak, audiences are terrified and delighted, and fall in love one moment in the film at a time. 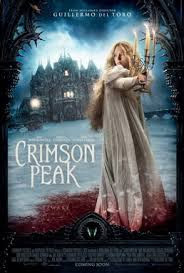 Crimson Peak boldly displays both recklessness and control in terms of conveying its message of horror, deceit, greed, ambition, obsession, lust, and love. The film centers on Edith being haunted by the ghosts both from her past and present. The ghost could be a metaphor of her past hurt from a sudden loss of a loved one, or a present danger she is about to face. Nevertheless, the ghost as anchor of the story works very well to deliver the moral of the story: We are all haunted by our own ghosts. The ghosts could be something we have kept hidden—however we try to run away from them, they still eventually lead to our destruction. On the other hand, bravely facing our ghosts no matter how scary it may be could help us discover painful truths that we need to know. The film tackles illicit relationships, unresolved crimes, and graphic gory visuals of violence, yet taken into context and the call of the genre, the film stands firm and clear that goodness reigns over evil even in the midst of seemingly stronger dark forces. Ghosts are real, as the film says, but God is more real—as love is stronger than hate. 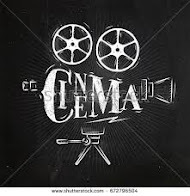 However, the heaviness of the theme and the graphic visuals of blood and gore may be disturbing for young audiences so CINEMA deems the film as suitable only for audience 18 years old and above. 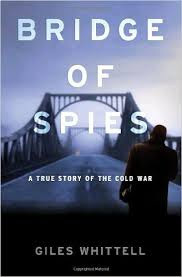 In 1957 during the height of cold war, FBI agents of the US serve arrest warrant to Rudolph Abel (Mark Rylance) on ground of spying in favor of Russian government. Insurance settlement expert lawyer James Donovan (Tom Hanks) takes on Abel’s case amidst the criticism that he is defending a traitor of his own country. Abel is found guilty, but Donovan manages to reduce the penalty to 30 years imprisonment instead of death sentence in view of invalid search warrant and the potential of his client to serve as an exchange deal for the release of US spy-plane pilot Francis Gary Powers (Austin Stowell) and economic graduate student Frederic Pryor who are in the custody of the USSR and the East German government. Telling his wife and children he would just go on a fishing trip, Donovan flies to Berlin to negotiate for the exchange. Bridge of Spies is another treat from Spielberg to the movie viewing public who wants to be informed, enlightened, and amazed. Inspired by historical facts, the story engages the viewer from beginning to conclusion. The film showcases the trademark excellence and compelling performance of Hanks, matched by that of Rylance. Spielberg has successfully given life to these two characters with these lead actors while enabling the rest of the cast to give their best shot as well. 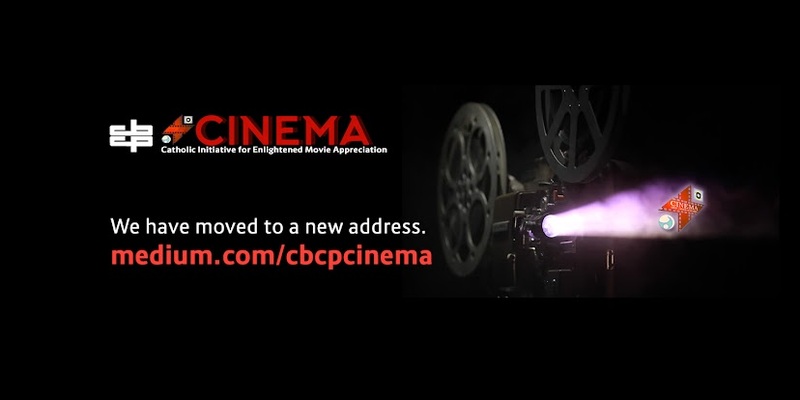 The cinematography is remarkable in conveying facts, appropriate emotions, and ambiance required by the film. The editing and production design revive the cold war era through convincing sets. Lighting and sound effects are equally appropriate; the relative silence and music of the late 50’s enhance the atmosphere. Bridge of Spies conveys positive messages like hope despite trying situations, and honor and dignity when one’s profession is challenged. Donovan personifies the principle of justice for all regardless of guilt or innocence. Devotion to family and country are other values underscored here. Donovan is a dedicated husband and father and yet goes beyond the call of duty to be of service to his country for the sake of national security and interest. DIRECTOR: Joel Lamangan LEAD CAST: Dennis Trillo, Bela Padilla STORY and SCREENPLAY: Bienvenido Santiago MUSICAL DIRECTOR: Von de Guzman CINEMATOGRAPHER: Rody Lacap FILM EDITOR: John Wong GENRE: Biography DISTRIBUTOR: Viva Films (2015) PRODUCERS: Vincent del Rosario, Veronique del Rosario Corpus PRODUCTION COMPANY: Viva Films LOCATION: Philippines LANGUAGE: Tagalog, English RUNNING TIME: 2 hrs. 55 mins. Magbubukas ang pelikula sa araw ng kapanganakan ni Felix Manalo, Mayo 10, 1886, sa isang pamilyang saradong Katoliko. Ipapakita nito ang mga mahahalagang yugto sa buhay ni “Peles” (Dennis Trillo) mula sa pagkabata hanggang sa pagtatatag ng Iglesia ni Kristo at kanyang kamatayan noong 1963, at magwawakas ito sa paghirang sa kanyang anak na si Erano bilang bagong pinuno ng itinatag niyang simbahan. May balitang ang Felix Manalo ay kalahati lamang sa haba ng orihinal na pelikula—anim na oras. Marahil ay ninais ng mga producers ng pelikula na itampok nito ang talambuhay ni Manalo at ipapanood sa mga kasapi ng Iglesia sa kanyang kabuuan, ngunit iniklian ito para sa publiko pagka’t ang karaniwang “moviegoer” ay walang tiyagang upuan ang mga pelikulang hahaba pa ng dalawang oras. Dito nagmumula ang mga kakulangan ng pelikula. Tiyak na “nosebleed” ang editor sa pagbubuo ng Felix Manalo. Ang resulta? “Major surgery”, ika nga. Kung ang Felix Manalo ay isang tao, inoperahan ito: iniklian ang bituka, tinapyasan ang baga, binawasan ang utak, tinaniman ng “pacemaker”, at inalisan ng apdo. Bagama’t natuhog nito ang mga makahulugang bahagi ng kanyang buhay, hindi nito sinisid ang lalim ng pagkatao ni Manalo; sa halip, naging isang paglalahad ito ng simbahang INK, kung paano ito umusbong, naitatag, lumago, at lumalago. 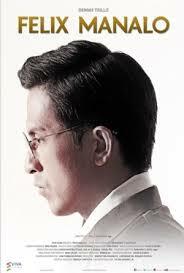 Kung gayon, maaaring hindi ito tangkilikin ng mga manonood na gustong maaliw sa sinehan; kung ikaw nga’y nagbabayad para malibang, bakit panonoorin mo pa ang Felix Manalo? Kung siryoso ka naman at gusto mong higit pang alamin ang tungkol sa INK, may Google naman para sa higit na malayang pananaliksik. Hindi kataka-takang naging 150-milyong piso ang budget ng Felix Manalo: bukod sa maraming tanyag ng artista at 7,000 ekstrang ginamit dito, kitang-kita na pinaggugulan din ng salapi at panahon ang kanyang production sets, costumes, atbp., kaya lamang, halatang bago ang mga ito—mukhang hindi pa natitirahan ang mga bahay kubo, wala pang libag ang mga kawayang bakod, kasasabit pa lamang ng mga kurtina, malutong pa ang uniporme ng mga sundalo, etsetera, etsetera, etsetera. Hindi maitatanggi na ang “nagdala” ng talambuhay na ito ay si Trillo, na marubdob na ginampanan ang papel ng yumaong Manalo, katulad ng kapani-paniwala niyang pagganap bilang isang bakla sa teleseryeng “My Husband’s Lover”. Sa mabilisan at nakakalitong paglukso ng kuwento sa pagitan ng mga eksena sa buhay ni Manalo, maraming bagay sa kanyang pagkatao at sa mga pangyayari ang napawalang halaga. Kapalit nito ay ang mga detalyadong tagpong nagpapakita ng pagrerehistro ng INK, ang pagtanggap ng gobyerno rito bilang isang lehitimong relihiyon, ang pagpapakita ng mga napakaraming retrato ng kanilang mga sambahan at kasapi mula noon hanggang ngayon pati na sa ibang bansa. Ipinagtataka tuloy ng karaniwang manonood: “Ano bang talaga ang pakay ng pelikula—ipakilala si Manalo o ang kanyang iglesya?” Tila nanunudyo naman ang pagkakataon nang ilabas ang “pakita” o trailer ng Felix Manalo habang umaalingasaw pa ang krisis ng INK gawa ng pagkakatiwalag sa iglesya ng mismong ina at kapatid ng ikatlong pinuno nito, si Eduardo Manalo—isang pangyayaring nag-iwan ng lamat sa mata ng madla na dating nag-akalang matibay ang pagkakaisa ng INK. Ang iskandalong ito ang naging sanhi ng protesta ng libo-libong kasapi ng INK laban kay Justice Secretary Leila de Lima sa EDSA, na ikinayamot naman ng mga motoristang naipit nang ilang araw sa trapik na idinulot nito. Hindi masisisi ang mga manonood kung pagtatakhan nila ang “timing” ng Felix Manalo. Ngunit ano man ang inyong isipin, hindi “naghahanap ng away” ang Felix Manalo. Iniwasan nitong lumabas na nanghahamon sa ibang relihiyon habang isinasalarawan nito ang paghahanap sa katotohanan ng isang disenteng taong ang palayaw ay “Peles”. Ano ang aral na maiuuwi ng mga manonood ng Felix Manalo? Hind saklaw ng CINEMA ang sumangayon o sumalungat sa turo ng anumang relihiyong itinatampok sa anumang pelikula, ngunit bilang pangkalahatang aral, mawiwika ng CINEMA na kung sa paghahanap ninyo ng katotohanan ay nanaisin ninyong pag-aralan ang turo at Banal na Kasulatan ng isang relihiyon, huwag ninyo itong gawing mag-isa at makontento sa sarili ninyong pang-unawa. Ang nagmamahal sa katotohanan ay hindi nag-aatubiling magpakumbaba at humingi ng liwanag mula sa tamang authority, sa mga bihasa na kinikilalang may kaalaman, kapangyarihan, karanasan, karapatan, at tungkuling magpaliwanag nito. Matalik na magkakaibigan sila Georgia (Kris Aquino), Stella (Iza Calzado), Chloe (Claudine Barretto), at Charley (Cheena Crab). Lahat sila’y mga tinatawag na “kabit” bagama’t hindi ganoon ang turing nila sa sarili nila pagka’t may sinasabi naman sila, matalino, at pawang matagumpay sa kani-kaniyang karera. Hihilingin ng “partner” ni Georgia na si Rob (Freddie Webb) na pagbigyan ang kaibigan nitong si Frank (Zoren Legaspi) na “turuan” at sanaying maging pino ang batang-batang kabit niya na si Ina (Kim Chiu). Hindi sasang-ayon si Stella, isang abugada, sa mungkahing iyon, ngunit itutuloy pa rin ni Georgia ang pagiging “mentor” kay Ina. Sa pagsulong ng kani-kaniyang mga buhay lulutang nang isa-isa ang mga alituntunin na dapat ay matutuhan ni Ina bilang isang “kept woman”, mga tumpak na pag-iisip at pagkilos na dapat diumano’y maituro sa dalaga upang siya’y lumigaya, magpaligaya sa kanyang lalaki, at maging malayo sa iskandalo. Ituturing na ng apat na bunsong kapatid si Ina, subali’t sasalungatin ang mga turo ni Georgia ng mapusok na si Chloe na walang pakundangang iginigiit ang kanyang mga kagustuhan sa lalaki niya. Makakatayong mag-isa ang pelikulang Etiquette for Mistresses kahit hindi ihambing sa orihinal na nobela ni Jullie Yap-Daza na pinaghanguan nito. Sa kalakhang bahagi ng pelikula, makatotohanan ang pagsasalarawan nito ng mga hirap-at-sarap ng pagiging isang “Number 2” ng mga lalaking nakaaangat sa buhay. Nagampanan nang mahusay at may damdamin ng mga pangunahing artista ang kani-kaniyang mga papel, gawa na rin marahil ito ng magaling na pagdidirihe ni Chito Roño. Sa mga tanging dialogue ay mababakas ang kagustuhang maghatid ng aral ng pelikula sa mga kababaihan, kabit man o hindi. May mga bahaging biglang nakakabingi ang tunog, at hindi rin gasinong pulido ang editing ng ilang parte. Nagsimulang “solid” at matatag ang pelikula ngunit sa bandang huli’y “nagkalat” ito, nagsanga-sanga ang kuwento, hanggang sa katapusang “hinog sa kalburo”, ika nga. Ang tinatawag na “etiquette” sa pelikula ay kabutihang asal para lamang sa mga nakikiapid na nasa mataas na antas ng lipunan, at ang pakay ng mga babaeng ito ay ang iwasan ang iskandalo upang magtagal ang relasyon sa lalaking may asawa. Parang sinsasabi nitong “Okey lang maging kabit basta alam mong hindi ikaw ang asawa, at kumilos ka nang naaayon.” Sa tunay na buhay, maaaring walang matatawag na “etiquette for mistresses” para sa mga taong walang reputasyong iniingatan, mga uring “nangangaliwa” nang hantaran, at mga relasyong nagwawakas sa lagim tulad ng mga nababasa sa mga tabloids—ngunit mataas man o mababa ang lugar nila sa lipunan, pareho lamang silang nakapiit sa bawal na pag-iibigan. Hindi kinukunsinti ng Etiquette for Mistresses ang pakikiapid, bagkus tinatangka pa nitong ipaalala—matapos nitong silawin ang manunood sa mga karangyaang tinatamasa ng mga kabit—na ito ay isang kamalian na dapat iwasan. Marahil sa tindi ng kagustuhan nitong iparating ang positibong mensaheng iyon, kasama na rin ang pagnananais na kilitiin pa-more ang movie fans, sumobra naman ito. Higit sanang kapani-paniwala kung tinuldukan na lang ang kuwento sa matapat at marubdob na desisyon ng mga kabit na talikuran ang baluktot na daan. Pero hindi ganon ang nangyari—hinabaan pa, pinalabukan pa ng mga pangyayaring minadali at hindi ipinaliwanag, naglaho tuloy ang init ng mensahe, parang lumamig at nanigas na hot pan de sal. Bakit hinihimay ng CINEMA ang mga bagay na ito? Tungkulin nitong magbigay gabay sa balana upang maging mapanuri at mapag-isip ang tao sa panonood ng sine. Ang pagbabagong buhay ba ay ganoon lamang kasimple at kadali, parang switch ng ilaw, isang kalabit lang ay magliliwanag na? Paano na ang mga nasugatang damdamin, mga nawasak na pag-aasawahan, mga nagkalamat na tiwala? Ano kaya ang aral na maiuuwi ng mga manunood na buong-tahimik na sumaksi sa sampalan nila Kris at Claudine, pero nagtilian nang walang mayaw nang biglang pumasok sa eksena si Piolo Pascual? Kumita ng 15-milyong piso ang Etiquette for Mistresses sa unang araw ng labas nito. Ilan sa mga nanood sa unang araw ang naliwanagan ng pelikula tungkol sa pag-ibig? Tungkol sa tema nito, mayroon pang nais bigyang-liwanag ang CINEMA—ito’y may kinalaman sa winika at binigyang-diin ng isang babae tungkol sa relasyon nila Stella at Ambet: ito diumano ang “love”. Love? Talaga? Hindi po minamaliit ng CINEMA ang “love” na namagitan sa isang abogadang iniwan ang pananagutan sa korte upang arugain ang isang lalaking nilisan ang kanyang pamilya at piniling pumanaw sa piling ng kabit. Ang sa kanila’y isang uri ng pag-iibigan, oo, ngunit pag-iibigang mapanira, naghahatid ng dalamhati at poot sa mga kinauukulan. Ito ba ang ninanais ng Panginoon para sa atin? Ang pakikiapid, ang pagnanasa o pagsiping sa hindi mo asawa—ano man ang itawag dito, wisikan man ito ng pabango at itubog sa ginto—ay pakikiapid pa rin, isang paglabag sa kalooban ng Panginoon. May higit pang dakilang pag-ibig ang inilaan ng Lumikha para sa tao, isang pag-ibig na isinasa-alang-alang ang Diyos, walang bahid ng pagka-makasarili, nag-uugat sa katotohanan at nagbubunga ng kabutihan. Released as Papa Francisco: The Pope Francis Story in the Philippines, the film shifts from past and present timelines as Ana (Abascal), agnostic Spanish journalist, reconstructs the highlights of Fr. Bergoglio (Grandinetti) life from his childhood and his seminary life to the time he was Cardinal of Argentina until his election as Pope in the 2013 Conclave. In short and simple anecdotes, we see young Bergoglio’s unwavering desire to be a priest against his mother’s wishes and childhood crushes, as well as his struggle to fight the injustices of the Dirty Wars. We are presented with his simplicity and humility as well as his endearing compassion for the less fortunate. Through each episode, Fr. Bergoglio imparts words—comforting for the sorrowful, sharp for the corrupt, and inspiring for the faithful. Anna’s story of becoming an unwed mother and finding God is told alongside Fr. Bergoglio’s journey. There are two thoughts of critic schools for this Pope Francis movie. On the one hand, it is simplistic and devoid of cinematic techniques. It puts an almost dry collection of tidbits about the Pope, downplaying the more controversial issues. One might find the film unjustly diminishing the enigmatic charisma of the real person the world has loved. On the otherhand, yes it is simplistic but effective enough because for a personality whose life is already an open book to the world, there is no need to delve into the nitty gritty anymore. The selection of events in Fr. Bergoglio’s life serves more to show the foundation for values he holds dear and principles he stands for than to dramatize them. That it is devoid of artistic interpretation and cinematic quality is true but for a man who has opted a life of simplicity and selflessness, the melodramatic treatment of mainstream cinema would not have been appropriate. Papa Francisco: The Pope Francis Story resonates with inspiration. Forgiveness and compassion over judgement and punishment. Simplicity and humility over pomp and extravagance. Love and brotherhood over self and personal agenda. Even if Pope Francis were not a real person, the movie would have still made an impact in its messages. It presents a man of the cloth ready to defend the voiceless, the desolate, the victims of violence. The film shows us how faith is not practised just in the pulpits but also in the streets and alleyways. Moreover, we see a priest who is not just behind the altar preaching but inside the home loving, caring, sympathizing. Fr. 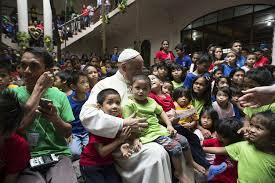 Bergoglio is a friend to everyone and the embodiment of God’s mercy and compassion on earth. And all these have been presented in the simple poignant anecdotes that have been stripped of cinematic drama or hypocritical preaching. Last January, Pope Francis, the leader of the world’s 1.2 billion Catholics, visited the country, and inspired us with his warm, sincere, and jolly persona as he spoke of the gospel and God’s love for the world. Keeping the light and love that "Lolo Kiko" left in the Philippines, the movie entitled “Papa Francisco: The Pope Francis Story” further brings the Pope closer to the nation as the movie takes us back to his younger days in Argentina until the time he was elected as Pope. 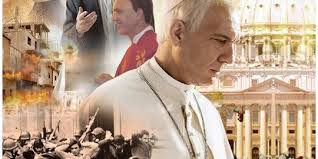 The movie, also known in other territories as “Francis: Pray For Me” is based on the book “Pope Francis: Life and Revolution” by Elisabetta Piqué, a close friend of the Pope and a correspondent in Italy and the Vatican for La Nación, Argentina’s main newspaper, since 1999. It is through Ana’s eyes that the audience will follow the long, hard and touching story of Jorge Bergoglio. Father Jorge, as he has always wished to be called, used his position as the archbishop of Buenos Aires as a means to challenge the corruption and abuse of the government dictatorship. Ana was there to see his toughest battles when he gave a voice to those who had none, the victims of prostitution, slavery and drug trafficking within the many shanty towns. Their story comes full circle at the conclave of 2013 when a Jesuit priest coming from South America is elected on the fifth papal ballot as Pope. The son of humble Italian immigrants, he chooses Francis as his Papal name partly in honor of his Grandmother for she impressed upon him the biblical values of Saint Francis of Assissi when he was a young boy. The name Francis perfectly summarizes the life of Father Jorge. He is a man who placed the Gospel’s message of helping the needy at the heart of his pastoral work. Award-winning writer-director and actors abound in “Papa Francisco: The Pope Francis Story” - directed by Beda Docampo Feijoo who won Best Screenplay in the Argentinean Film Critics Association Awards for his work in the movie “El Marido Perfecto” in 1993 with Juan Bautista Stagnaro with acclaimed actors Dario Grandinetti in the titular Pope Francis role who won an International Emmy Award for Best Actor in 2012 and Silvia Abascal who was awarded Best Actress in Toulouse Cinespana and Malaga Spanish Film Festivals.